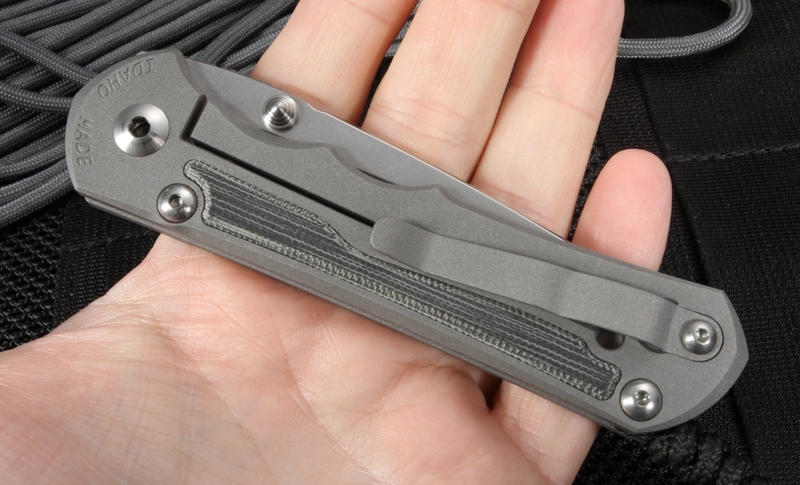 "I really recommend the micarta inlay Sebenza 25 for someone looking for an enhanced grip and the organic feel of canvas micarta as opposed to the blasted titanium. 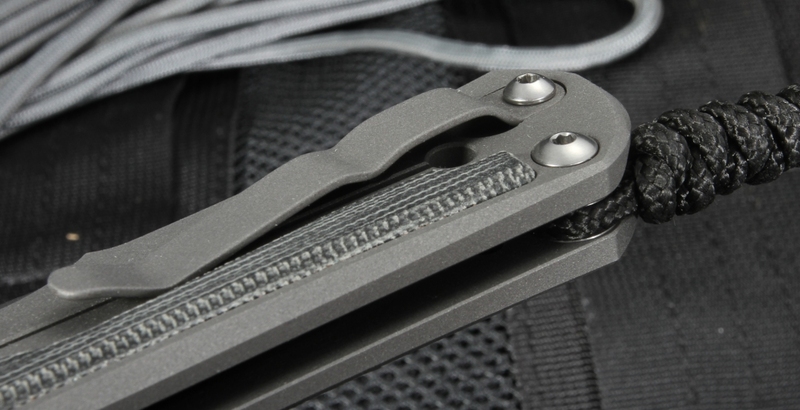 The micarta inlays provide a robust, thicker grip and outstanding handling in the field under many conditions." 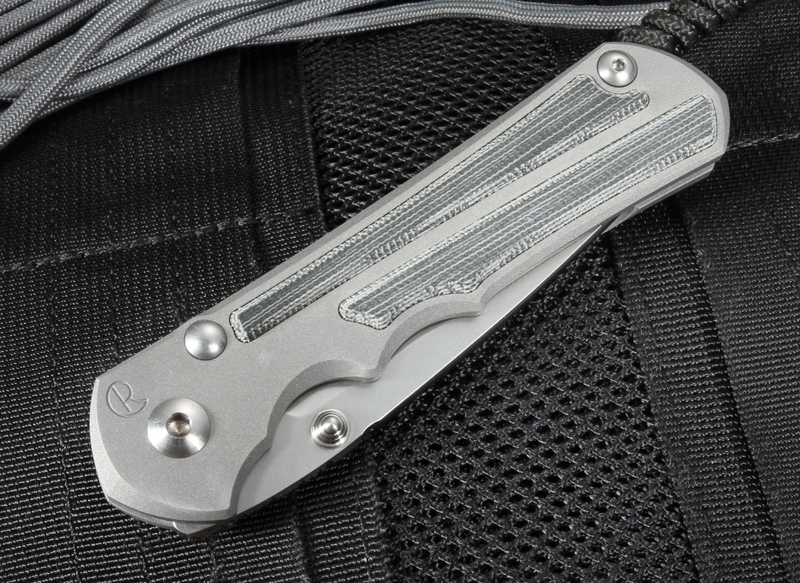 The Large Inkosi Micarta Inlay Folding Knife follows the Chris Reeve Knives tradition of producing the highest quality knives with only the best materials. Inkosi is the Zulu word for "the Chief," and the Large Inkosi Micarta Inlay is truly the Chief among other folding pocket knives. The 3.6-inch Crucible S35VN stainless steel blade of the Large Inkosi Micarta Inlay is heat-treated to provide a Rockwell Hardness Scale rating of 59-60. The blade will sharpen to a razor-sharp edge and offer exceptional edge retention. The wide hollow grind of the Large Inkosi Micarta Inlay's blade combines the best of both hollow and flat grinds, enhancing the sharpness and edge retention of the blade without sacrificing any strength. The tumbled finish blade features a sleek drop point shape that allows for excellent blade control and strength, perfect for general everyday cutting and slicing needs. The Large Inkosi Micarta Inlay has a rounded top blade spine and jimping on the blade thumb rest, providing both a sleek appearance and exceptional cutting experience and capabilities. With double thumb lugs crafted in the Reeve signature anodized blue titanium, the Large Inkosi Micarta Inlay is easily opened in either the left or right hand. Chris Reeve's Large Inkosi Micarta Inlay, crafted in Boise, Idaho, boasts the fine craftsmanship that is expected of American-made products. 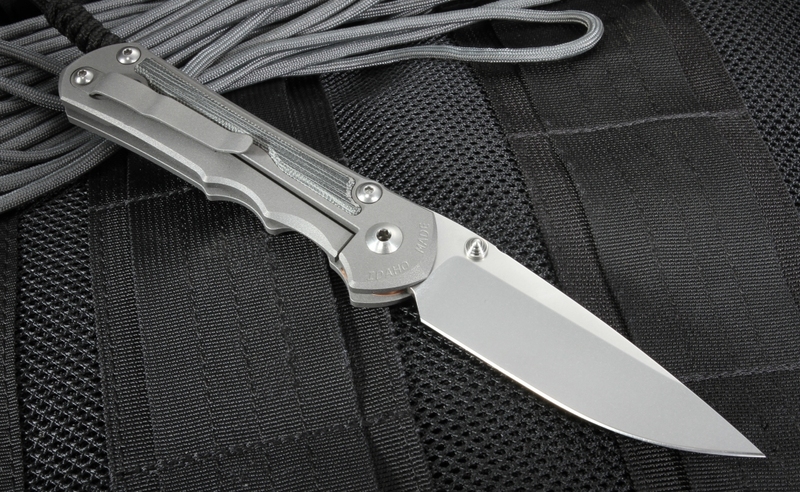 Tucked into the Large Inkosi Micarta Inlay's 6Al4V sand-blasted titanium handle is Chris Reeve's Integral Lock system, combined with a 97 RC ceramic ball end lock create a knife that provides a lifetime of consistent, sturdy locking. 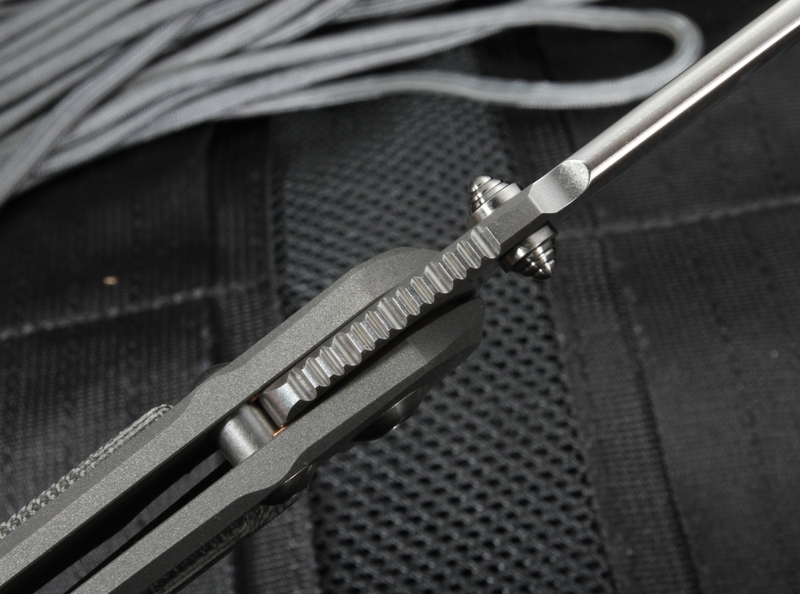 Twin Phosphor-bronze washers, an over-built pivot and stop pin all create a more torque resistant, solid opening feel and provide the blade with increased stability. The Large Inkosi Micarta Inlay will not open or close accidentally, and a ceramic lock bar insert prevents wear on the 6Al4V titanium bar. The handle measures 4.8 inches, and the black Micarta inlays on the front and back of the knife's handle and an added finger groove on the bottom of the handle provide exceptional grip and control, even when wet from rain or sweat. 303 stainless steel hardware and silver titanium accents offer extra stability and durability to the Large Inkosi Micarta Inlay, making an aesthetically beautiful knife built to last a lifetime. The mounted pocket clip rests on the back face to eliminate any possibility of pressure on the Large Inkosi Micarta Inlay's lockbar, providing both an ergonomic grip and a sleek, stylish carry method. 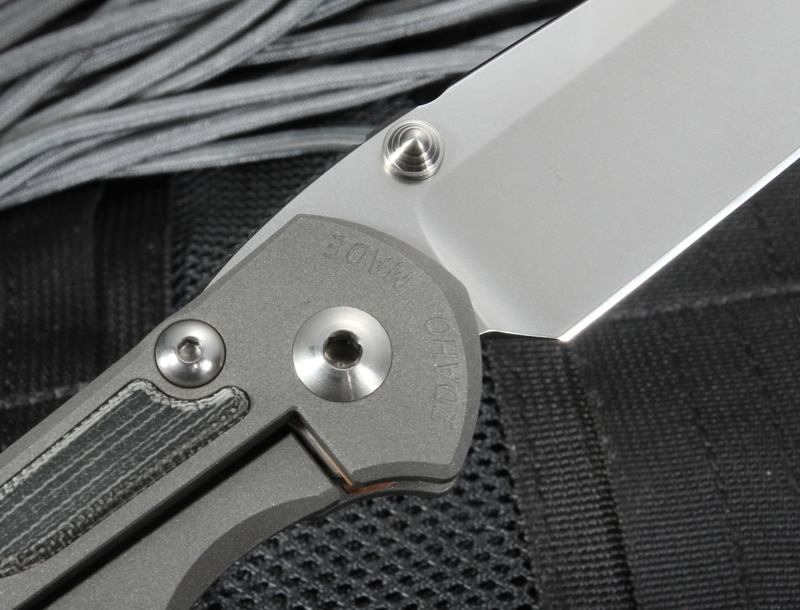 A lanyard hole in the handle provides extended options for carrying the Large Inkosi Micarta Inlay. Weighing in at just 4.96 ounces, the Large Inkosi Micarta Inlay provides the weight needed for general cutting duties but is light enough to allow for exceptionally comfortable everyday carry. 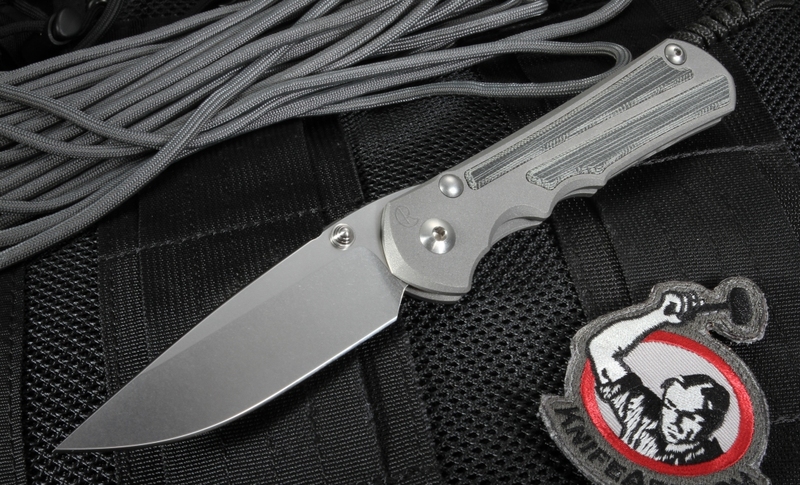 Chris Reeve has designed and manufactured the finest quality knives since 1984. Born and raised in an area of South Africa where Zulu is the prominent language, Reeve often uses words from the Zulu language to identify his products (Inkosi, Insingo, etc.). Reeve's commitment to precision and quality earned him an induction into the Cutlery Hall of Fame in 2015. His knives are built with the best of American craftsmanship and only the finest materials. Reeve's products enjoy a worldwide reputation for their design, quality, and the closest tolerances in the industry. KnifeArt.com offers free same business day shipping and hassle-free exchanges on our select inventory of the highest quality knives and tactical products. For more information on the Chris Reeve Large Inkosi Black Micarta Inlay, check out KnifeArt.com today! A fine piece of work, really nothing else I've ever used compares. Great service, delivery time and product! The item was shipped the same day I ordered it. The quality is perfect. Micarta 25 is a piece of industrial art. You will be very pleased with this new release from Chris Reeve. Fantastic processing, very sharp and beautiful! Delivery after 5 days in Germany.